* RV Sites are pet friendly. Sorry, no pets allowed in rentals. 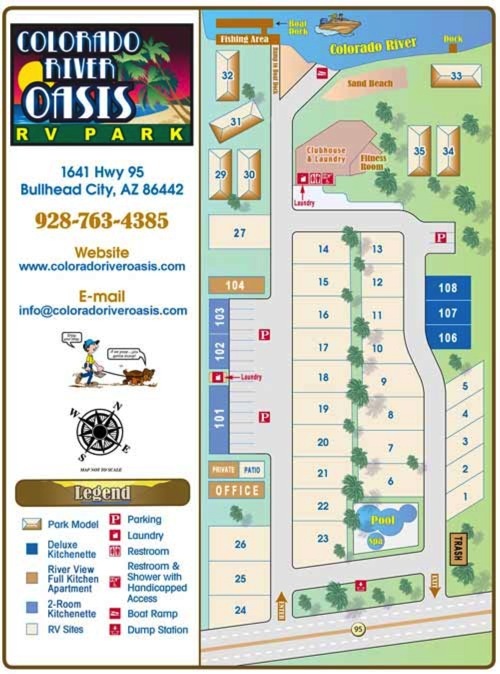 CLICK ON THE MAP* below to view a printable PDF version of our park map.